MLS# 3718575 - Built by Highland Homes - July completion! ~ Two story home in Cul-De-Sac within walking distance to Linda Herrington Elementary! This beautiful exterior includes four sides masonry of brick and stone with full sod and sprinkler included. 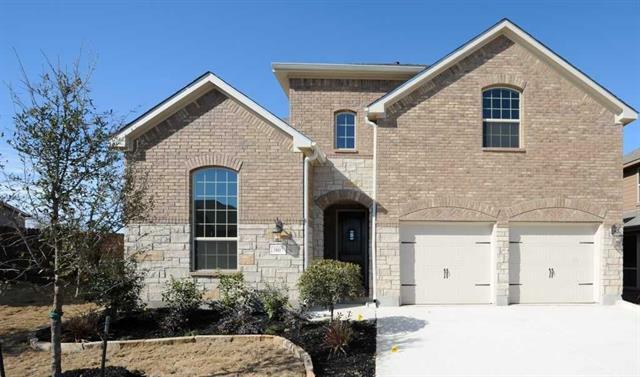 The home includes a 2.5 car garage, extended covered patio, fireplace in the family room, upstairs gameroom, and wood look tile throughout the downstairs common areas..
Disclaimer: All information deemed reliable but not guaranteed and should be independently verified. All properties are subject to prior sale, change or withdrawal. Neither listing broker(s) nor Keller Williams Realty shall be responsible for any typographical errors, misinformation, misprints and shall be held totally harmless. Database last updated 04/25/201911:06:38 AM.